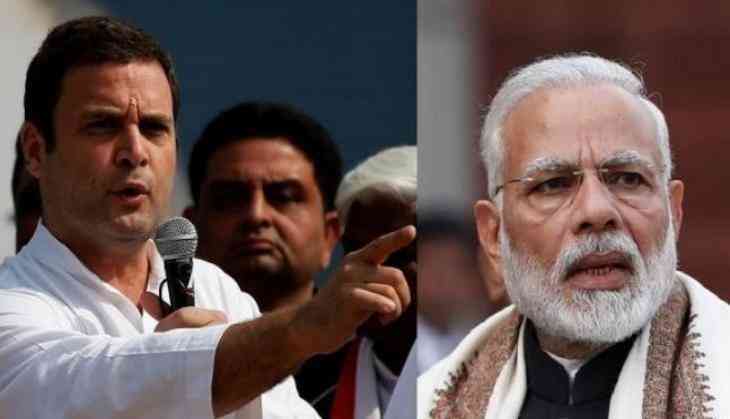 Congress president Rahul Gandhi on Monday took a dig at PM Narendra Modi- led government over the growing unemployment in the country and issues on it after Union Minister Nitin Gadkari conceded that there is a job crunch. On Sunday, Gadkari taking concern over violence leading due to the protest in Maharashtra for Maratha Reservation in jobs, said what to do with quotas if there are no jobs? Following which Rahul Gandhi took Twitter to launch an attack on Modi government. “Excellent question (Nitin) Gadkariji. Every Indian is asking the same question. Where are the jobs,” Gandhi tweeted attaching a news report in which the Union Road Transport and Shipping Minister, Nitin Gadkari questioned the rationality behind a job reservation stir when there were not enough jobs in the first place. Gadkari on Sunday told reporters in Maharashtra that reservation would not guarantee employment as jobs were shrinking. “Let us assume the reservation is given. But there are no jobs. Because in banks, the jobs have shrunk because of IT. The government recruitment is frozen. Where are the jobs?” Gadkari asked.